$157,500 raised for the 2018 Legal Pipeline Challenge - thanks to all of the firms, companies and legal professionals who donated this year! James Basile, Partner at Kirkland & Ellis and a board member of SVUDL, has inspired his colleagues and his firm to contribute over $180,000 to the Legal Pipeline Challenge since 2015, and once again in 2018, for the fourth consecutive year, Kirkland & Ellis is the top donor to the Legal Pipeline Challenge. Read more to learn Jim’s personal connection to debate and why he is such a strong advocate for SVUDL. 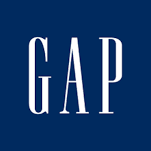 Volume #3: Matthew Irwin, Gap, Inc.